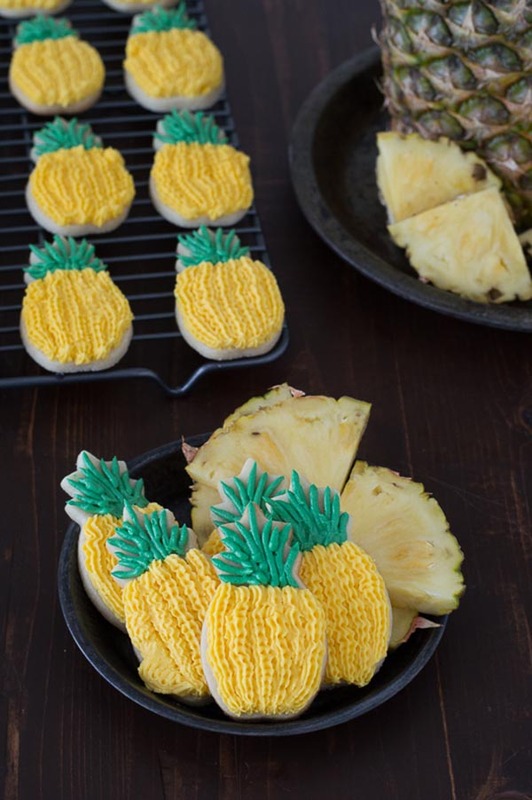 Pineapple party week continues and today is all about cookies…because what could be better than cookies in the shape of a pineapple?! 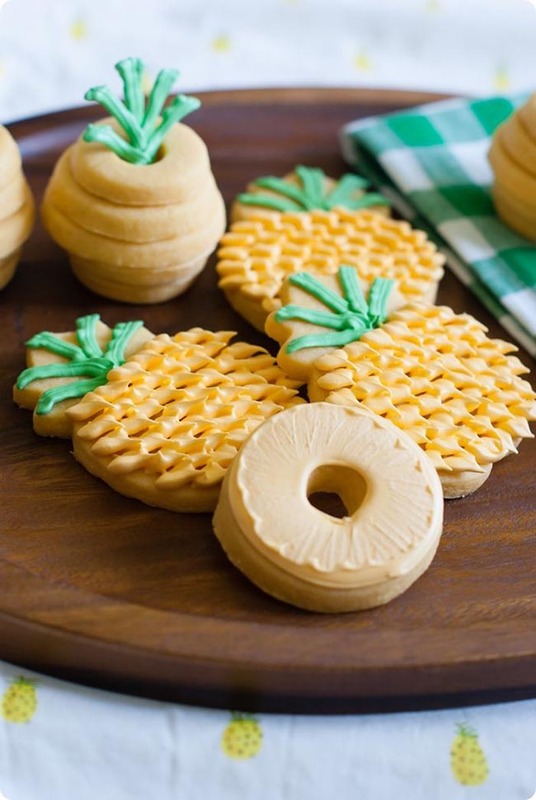 Well as much as we loved our round up of pineapple party invitations and pineapple party decorations, these pineapple party cookies have stolen our hearts! 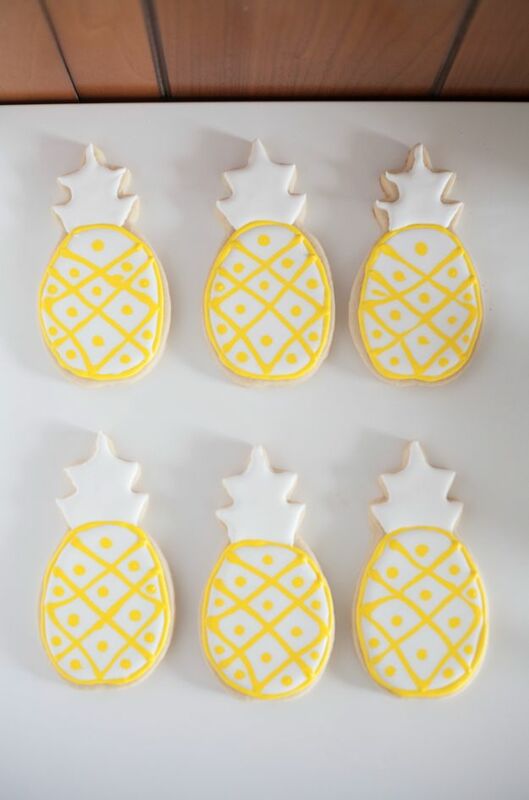 Royal icing or buttercream, fondant or a mix of it all, these pineapple party cookies are seriously lovely in every way and would be a perfect treat for this party theme. 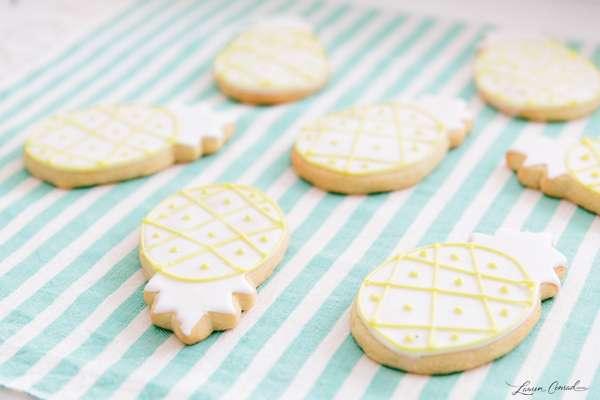 We love the new modern takes on these cookies too like water color or all white. 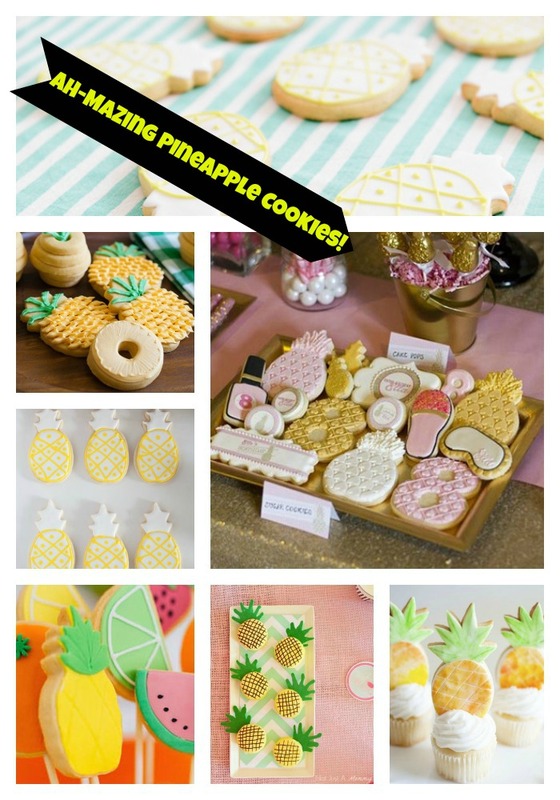 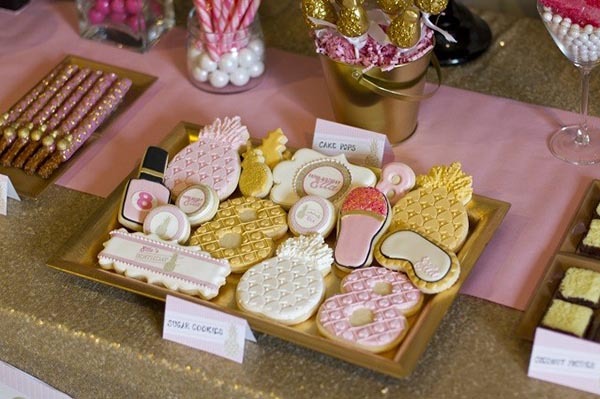 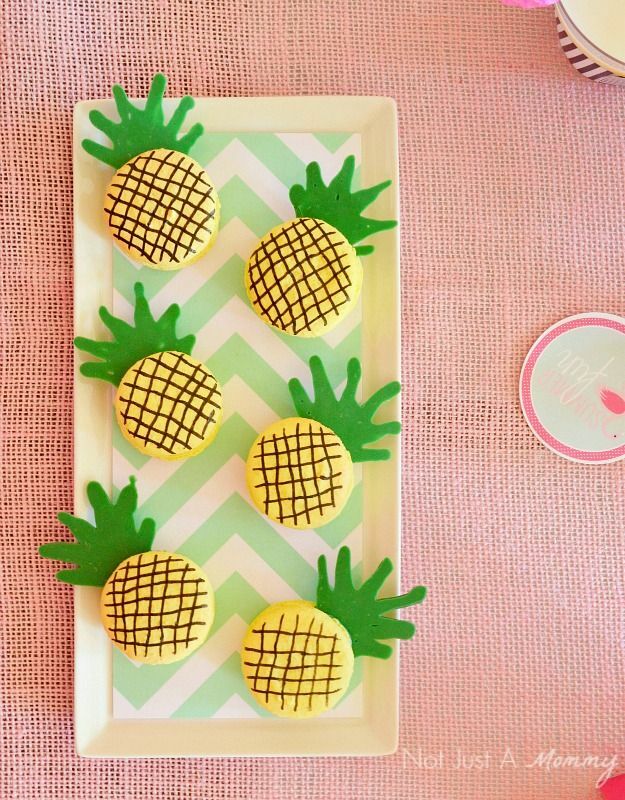 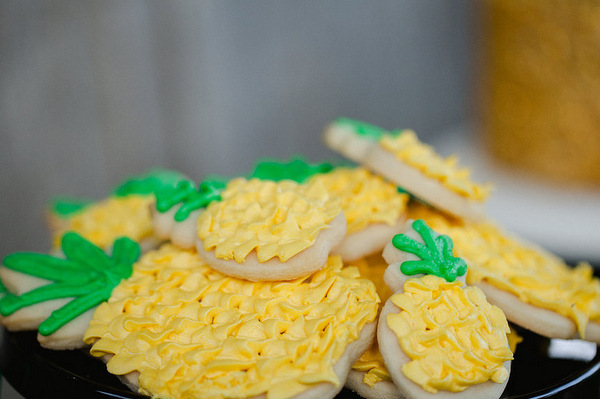 There is so many different styles you can do to fit your true personal style and your party style for that fact and we know these little pineapple cookies will be sure to give you lots of ideas and inspiration. 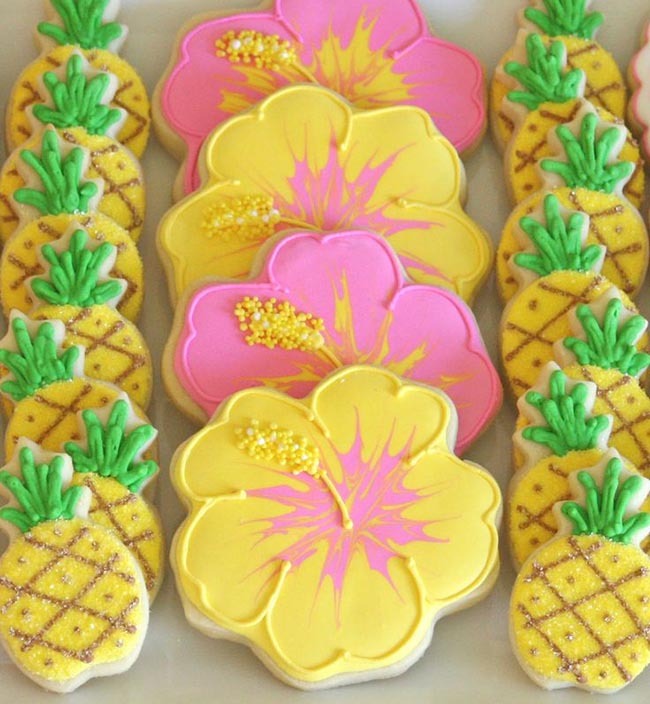 The best news is most of the are DIY and come with how-tos so whip out that mixer and you pineapple cookie cutter and get to baking. 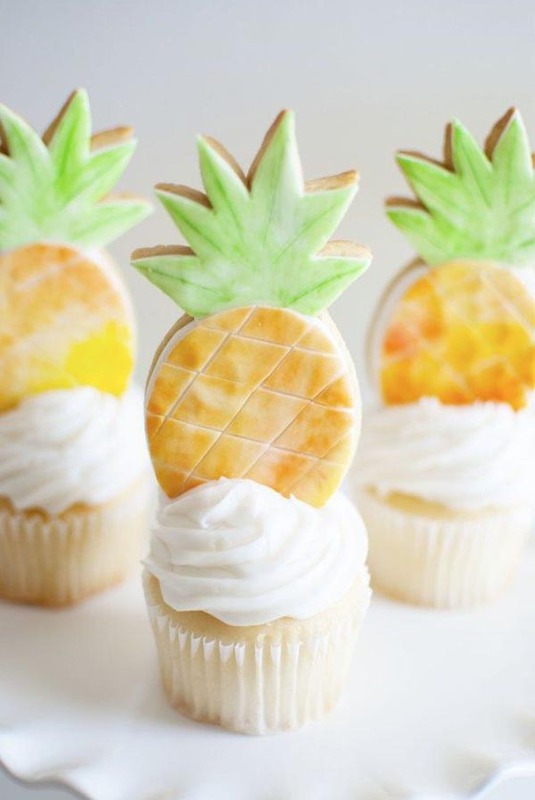 These pineapple party treats can’t be passed up!